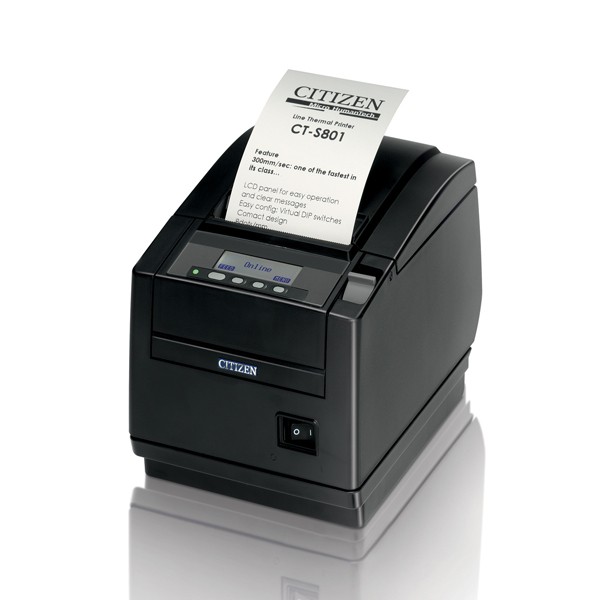 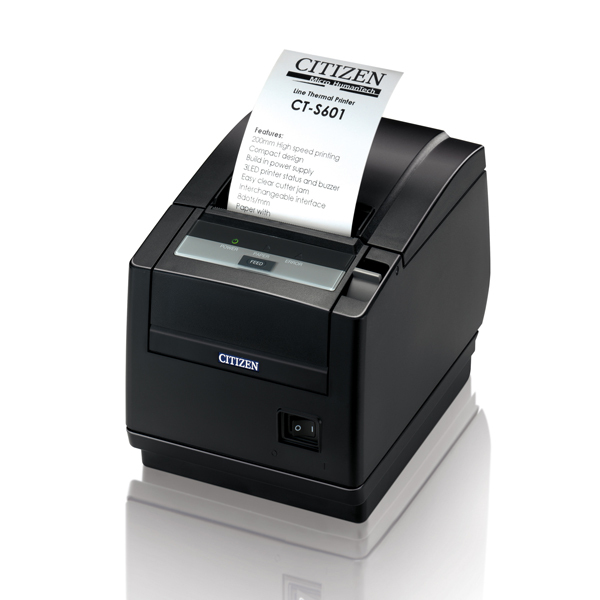 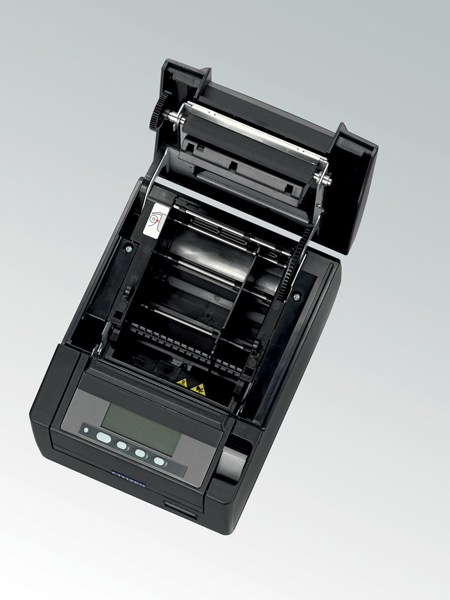 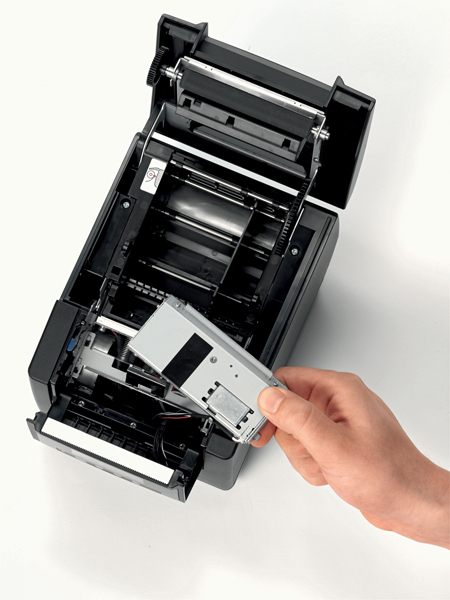 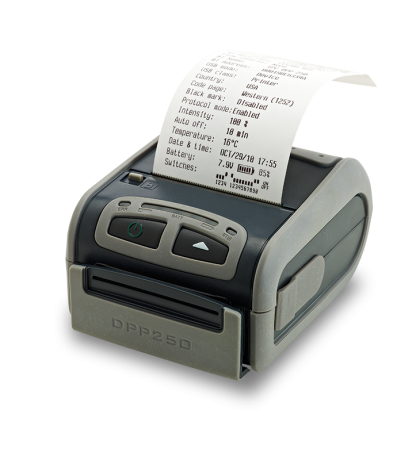 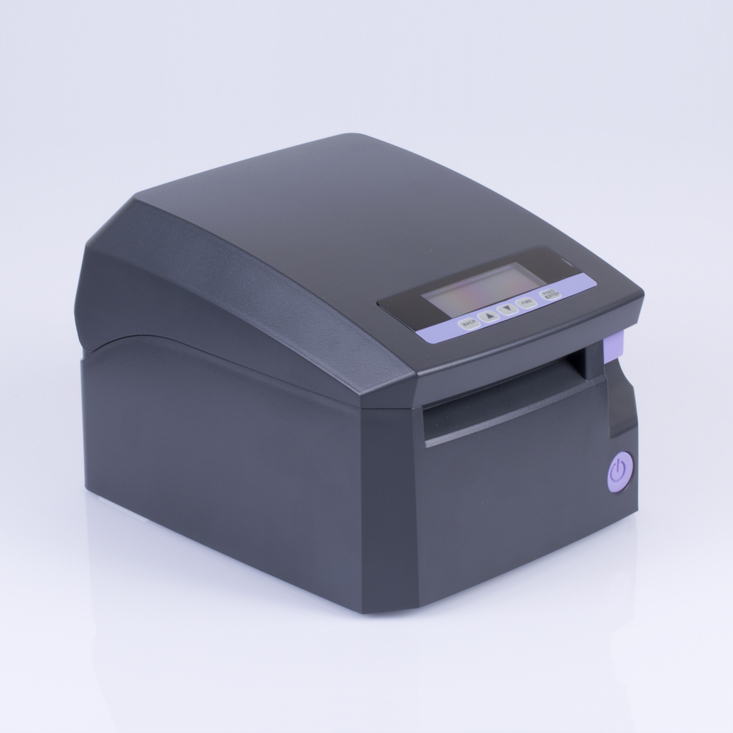 With a print speed of 300mm/sec, the CT-S801 originally set the standard for high speed POS printing and is still among the fastest machines in its class. 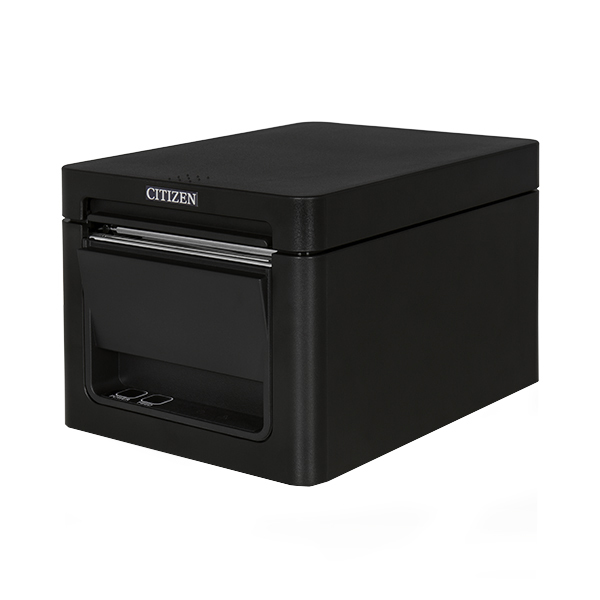 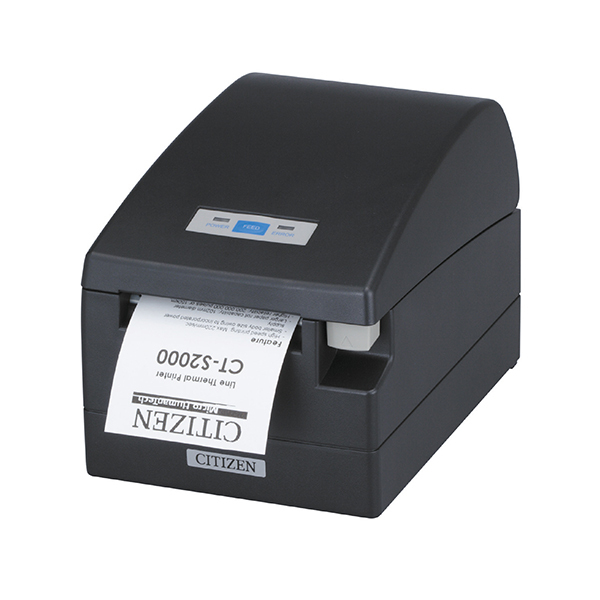 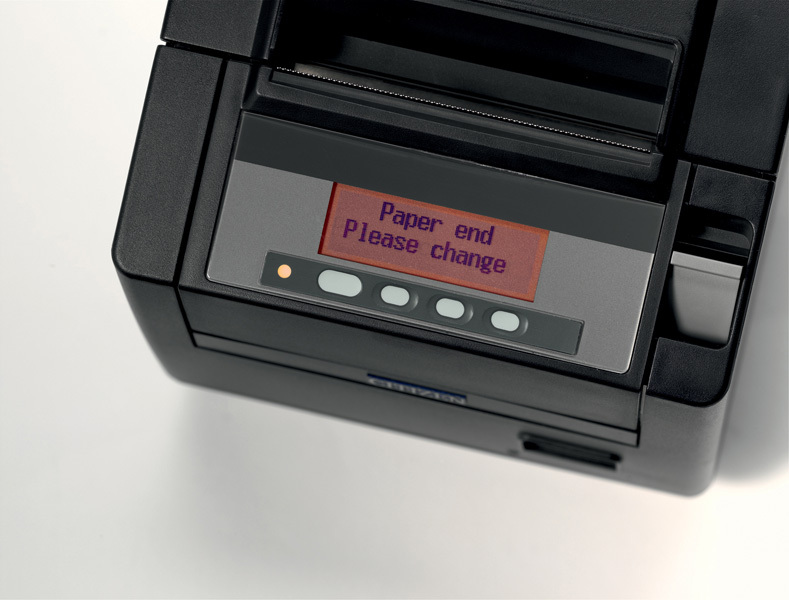 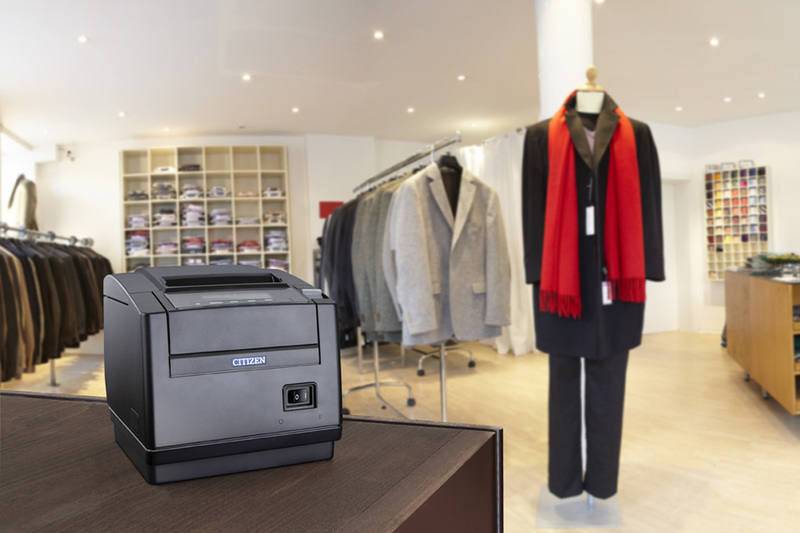 Offering a top paper exit for retail applications, the CT-S801 has an advanced, two-colour backlit LCD, ensuring quick setup and total control of all print functions. 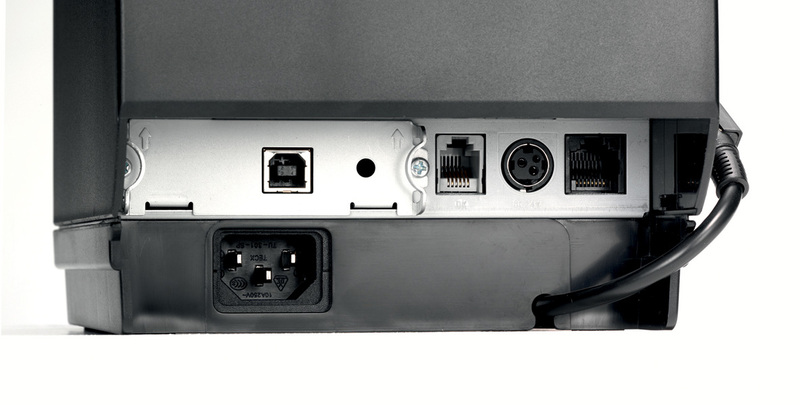 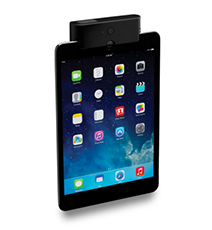 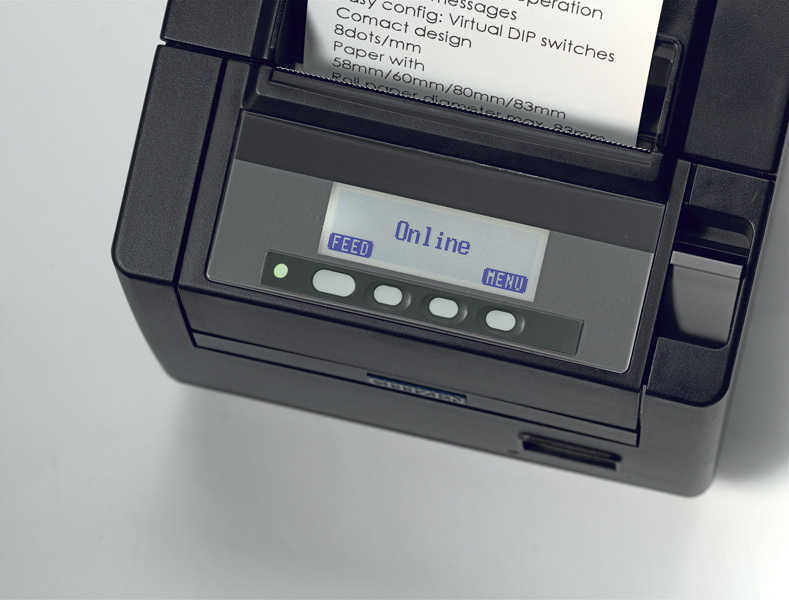 Full error checking, with simple messages and on-screen help make operation fast and efficient – a benefit that is extended still further through features such as a soft-close cover and the self-retracting snap-in cutter.